The Wealth of Health Awards, sponsored by Excellus BlueCross BlueShield and the Rochester Business Journal, honor innovative organizations that promote workplace wellness. Allen-Bailey is extremely proud to be recognized as a finalist within the 1-299 employees category. Finalists were judged on employee involvement in health initiatives, the creativity of these activities to reach specific targets, sustainability of programs and measurable outcomes. 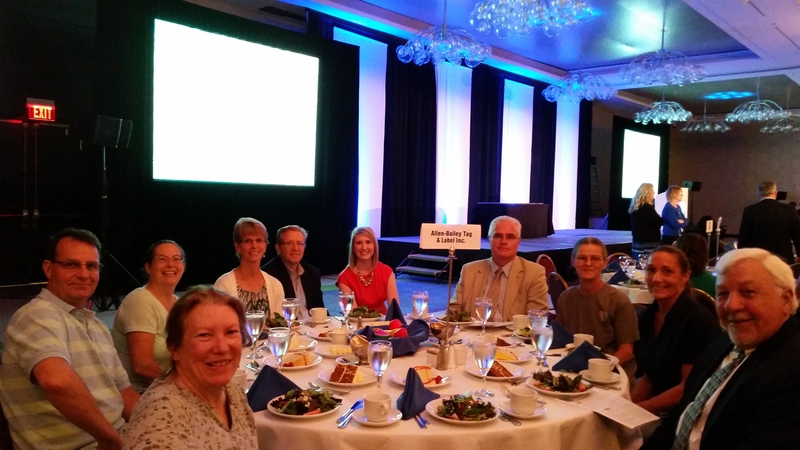 Pictured below are members from our “Tag” You’re Fit wellness committee at the Wealth of Health luncheon on June 12th.